The model 514 brings the benefits of true digital technology to the orbital welding customer: unparalleled accuracy, repeatability, and reliability. 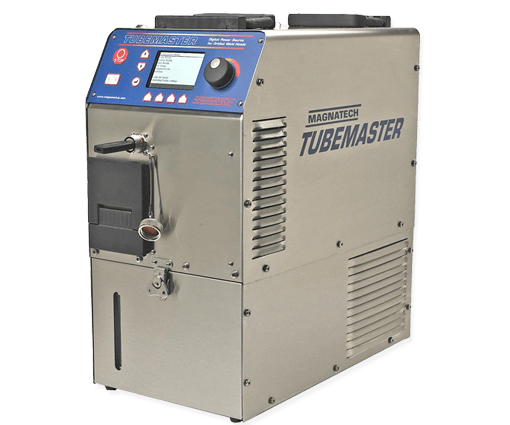 Digital technology forever eliminates the need for periodic weld head calibration – rotation speed remains accurate regardless of head wear, and heads can be interchanged without time-consuming calibration. Software upgrades can be sent by e-mail attachments. The model 514 is “Internet ready” for future enhancements such as web-based diagnostic service. 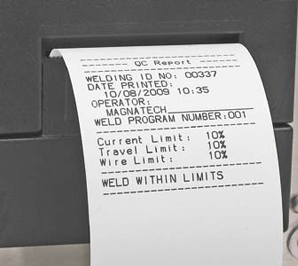 QC reports are immediately printed following each weld using the built-in printer option. Or, they can be stored internally and downloaded periodically to a PC using a standard USB Flash Drive. Import weld programs and QC data directly into a Word® or Excel® spreadsheet document. Data recording/printout Operator ID, weld ID number, program number, material, od, wall thickness, date, time, weld head model, project, drawing, programmed parameters, etc.